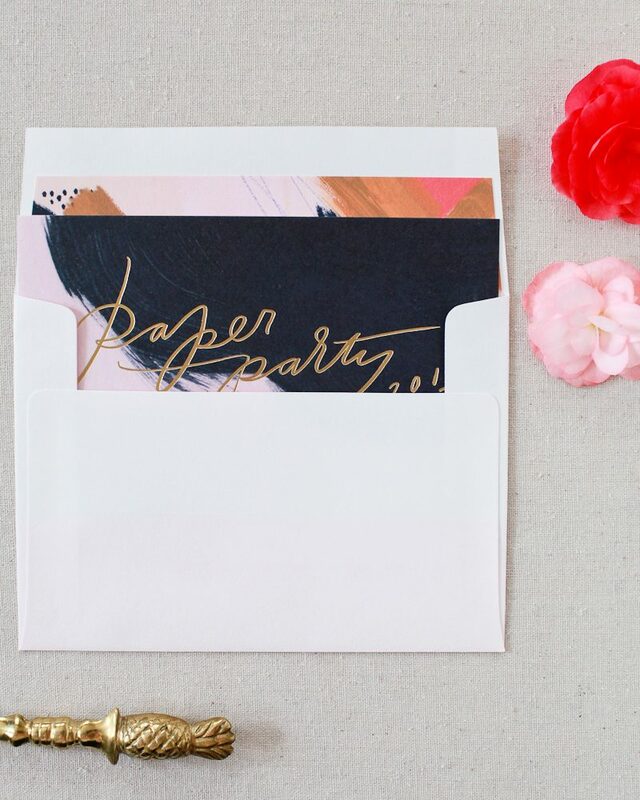 Paper Party 2015: the invitations! 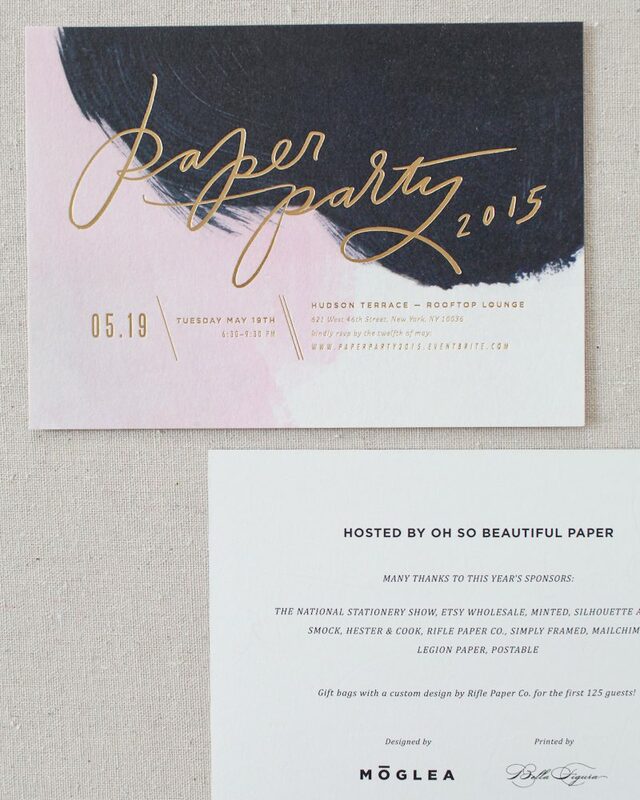 We were thrilled to collaborate with Oh So Beautiful Paper and Moglea for the invitations for Paper Party 2015! 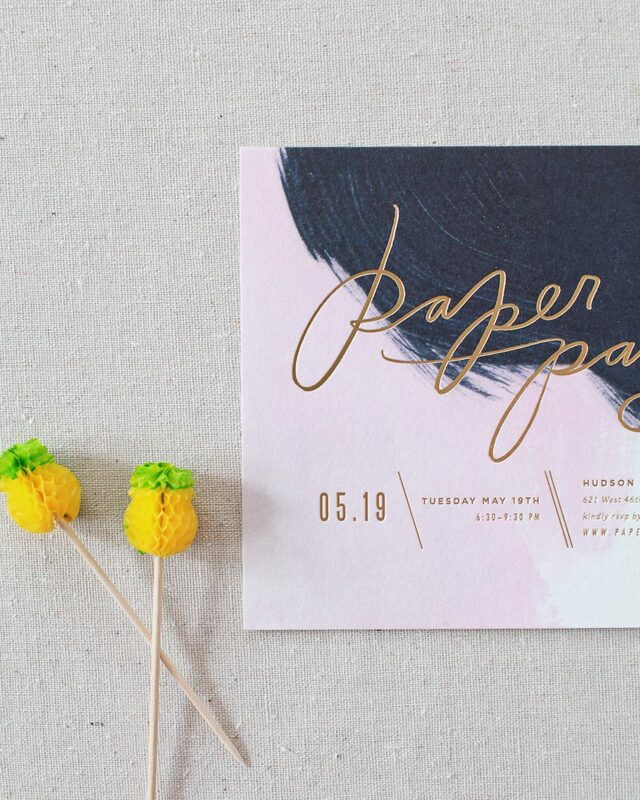 The Paper Party is an amazing event thrown by Nole Garey of Oh So Beautiful Paper every year during the National Stationery Show that brings press, retailers, and vendors from the stationery world together for an evening of fun. 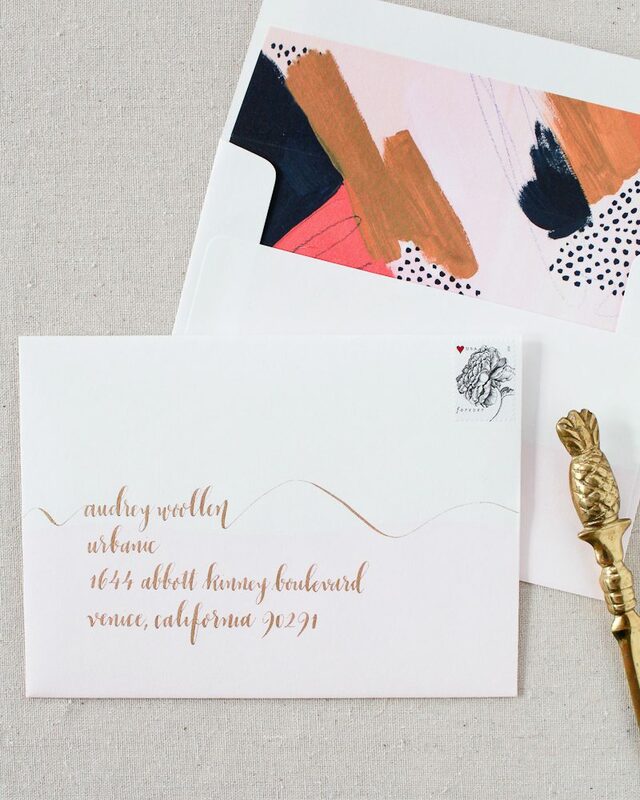 The invitations and envelope liners feature hand painted artwork by Meg from Moglea that we digitally printed on our white Bella Smooth Cotton paper. 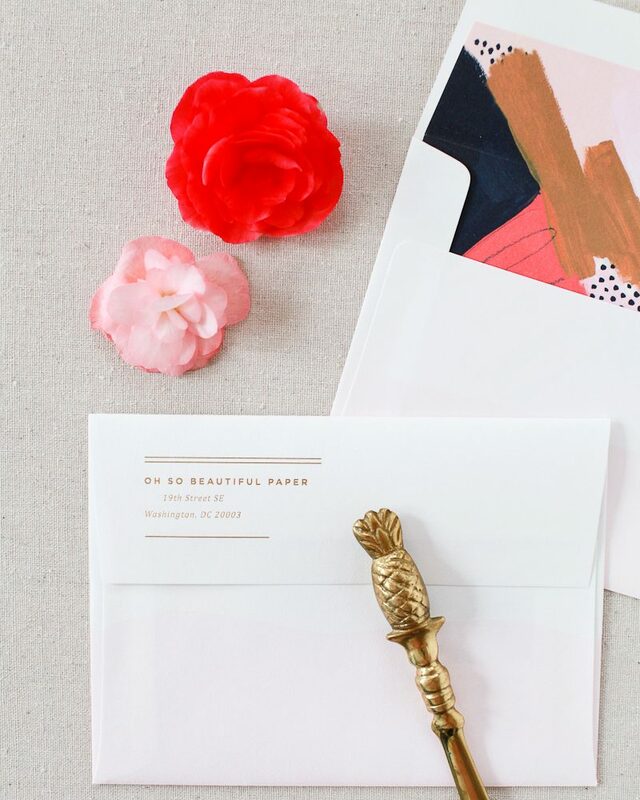 Gold matte foil stamping added a touch of shine to the invitations, and the envelopes were calligraphed in gold ink by Michele from Meant to Be Calligraphy. 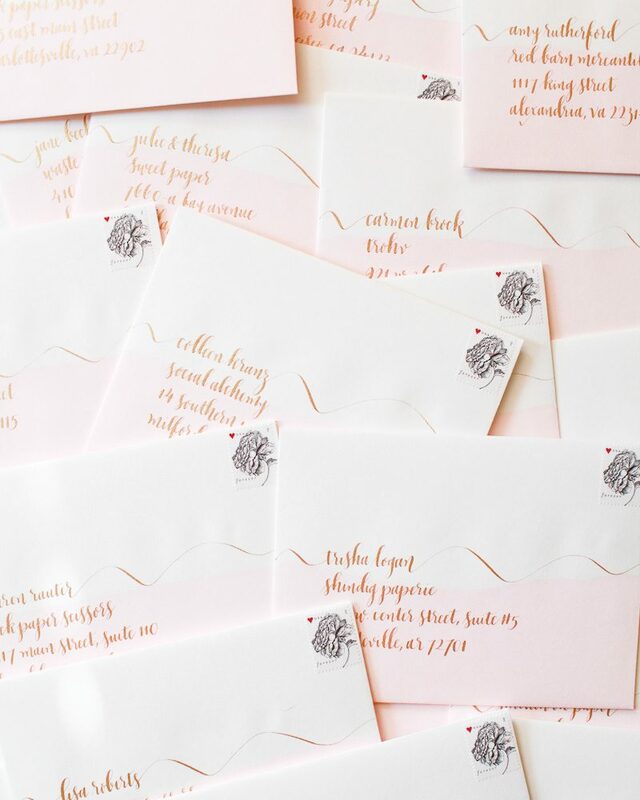 Vintage Rose stamps and a dip-dyed hint of pink finished the envelopes off beautifully. Take a look! 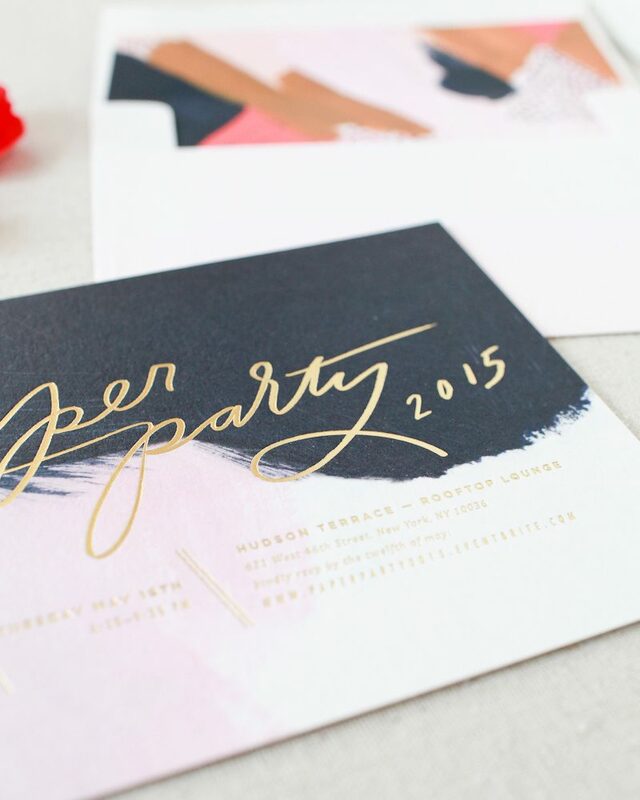 Many thanks to Oh So Beautiful Paper for inviting us to be a part of this amazing collaboration! 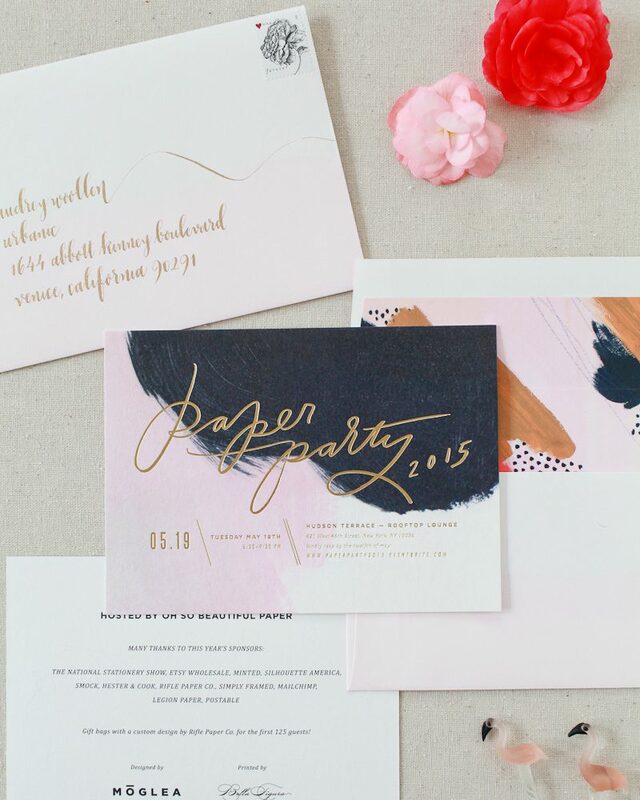 For more details on the invitations, check out Nole’s recap.